Leiden University is one of Europe's foremost research universities. 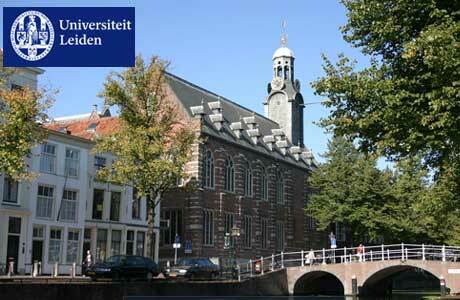 Founded in 1575, it is the oldest university in the Netherlands. Leiden University was the first university in the Netherlands to practice freedom of belief and religion, as reflected in the university's motto, Presidium Libertatis, Bastion of Liberty. For excellent Non-EEA students joining a full-time Leiden University Master's degree programme; and for excellent students of all nationalities joining an LLM Advanced Studies programme or the Master’s in International Relations & Diplomacy. Non-EU/EEA students enrolling in a Leiden University master's degree programme starting September 2016 or February 2017. All MA, MSc and LLM programmes that are mentioned on the website Master's programmes in Leiden are eligible for LExS, but note that some programmes have a start date in September only. Students of all nationalities enrolling in the Advanced Master programmes in the list below starting September 2016 or February 2017. (LExS closed for all faculties for programmes starting in February 2016). 1 February 2016 for programmes starting in September 2016. 1 March 2016 for programmes starting in September 2016. Deadline 1 October 2016 for all programmes starting in February 2017. > Students applying for all Master's programmes at Leiden University - with the exception of regular LLM (non-advanced) programmes, which do not offer LEx Scholarships. > Students must have achieved excellent study results in their previous education, this being relevant to the Master's programme for which they are applying. As an indication, the student is amongst the top 10% of graduates in his/her previous study programme. Note: proof of ranking is not required – this information is purely to indicate the level of competitiveness. > Scholarships will not be awarded to applicants who have already obtained a Leiden University Master’s degree, with the exception of students applying for a Master programme for which a specified previous Master programme or work experience is mandatory (e.g. LLM advanced studies programmes). > It is not possible to combine the LExS with another scholarship financed by Leiden University. > It is not possible to combine the LExS with another full scholarship from an external provider. Students are obliged to notify the scholarships department if they receive a full scholarship from another source. In some circumstances, the LExS may be combined with a partial scholarship from an external provider. Contact the Scholarships Team for further details.